If you are interested in working as a research assistant on these projects, please submit an application. This project explores the many aspects of emotional development in children aged 4-11, with the aim of identifying ways we can promote children’s health, well-being, and healthy relationships. By looking at biological and social factors, we want to identify both risk and protective factors across childhood, as well as clear targets for intervention and prevention. This project examines relations between 4-7 year olds’ attention regulation and executive functioning and their ability to manage different emotions, utilizing eye-tracking, behavioral, and physiological assessment methods. Parents and children are invited to the lab, children participate in a series of computer-based and behavioral tasks while parents complete questionnaires and participate in some behavioral tasks. This project examines two primary research questions with children ages 4-6 years old from the community: 1. 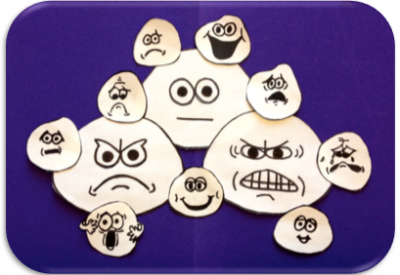 How does emotion influence children’s sharing? 2. What cognitive and emotion skills support children’s sharing? Parents complete questionnaires in the lab while children complete a series of activities with the researcher. In collaboration with Tools for Peace and their Stop, Breathe & Think Curriculum, this project aims to understand the effects of mindfulness and compassion training in adolescents by examining biological, psychological, and social factors. We are exploring codeswitching in Spanish/English bilinguals to better understand how these process influences the way bilinguals understand the world. Our objective is to examine how bilinguals describe their experiences with an emphasis on differences that might emerge when they switch the language they are speaking. We currently have two projects examining this: (1) Undergraduates from the UCR community (2) Children from the community between the ages of 4-11 years old. This project examines the influence of a brief auditory stimulus on undergraduates cognitive processes (e.g., attention regulation, memory,etc) and emotion regulation utilizing a multi-method approach including computer and behavioral tasks and physiological assessment methods.